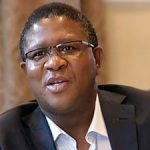 Africa lags behind in infrastructure development - SABC News - Breaking news, special reports, world, business, sport coverage of all South African current events. Africa's news leader. South Africa – like other Africa nations – still faced “significant investment gaps”. 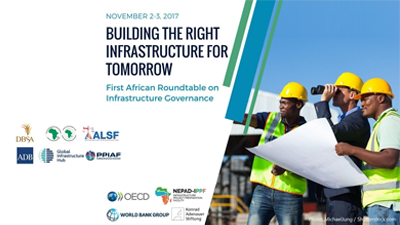 Cape Town has just played host to the First African Roundtable on Infrastructure Governance, the first of two in Sub-Saharan Africa. Its main aims include strengthening policy discussion on sustainable infrastructure delivery and enhancing infrastructure governance capacity across emerging market economies and developing countries. The roundtables are envisaged to culminate in the preparation of regional white papers set to guide policymakers in formulating governance frameworks. In attendance were representatives from African governments, the global private sector, multilateral institutions, and other development partners. The 120 delegates included 11 cabinet ministers and attendees from 27 Anglophone and Lusophone sub-Saharan African nations. Keynote speaks included South Africa’s Finance Minister, Malusi Gigaba; Managing Director of Citi Bank, David Walker; Hartwig Schafer from the World Bank Group; Siphokazi Mthathi representing Oxfam; Elias Masilela from DNA Economics; and Patrick Dlamini from the Development Bank of Southern Africa (DBSA). The 2017 Cape Town programme stems from the 2015 Addis Ababa Action Agenda, and from the Global Infrastructure Forum that took place in Washington DC in April this year. Global Infrastructure Hub (GIH), an organisation affiliated with the G20 bloc of nations, has for years used a number of analytical tools to assist governments, business and infrastructure bodies to make sense of global infrastructure deficiencies in the sectors of energy, telecommunications, water and transport (air, ports, rail, roads). Speaking at the event, Global Infrastructure Hub CEO, Chris Heathcote, estimates global infrastructure investment will need US$94-trillion by the year 2040, with an additional US$3.5-trillion required to address concerns around the United Nation’s (UN) Sustainable Development Goals (SDGs) around water and energy. Moreover, GIH’s outlook report asserts that over half of the world’s infrastructure needs are concentrated in Asia. For example, with China and India boasting the world’s largest populations, China alone is forecast to need more than US$28-billion to meet its infrastructure demands of a 1.3-billion strong population. India, on the other hand, is staring down a gaping infrastructure needs gap of US$526-billion to keep in step with its 1.2-billion strong populace. Despite its relative strength on the geo-political map, North America remains the “most significant” region with US$3.8-trillion needed to address its infrastructure challenges over the long term. When it comes to Africa, governments had invested US$4.3-trillion to date towards maintaining much-needed infrastructure. This, however, still fell short of the US$6-trillion needed, leading to a yawning investment gap of some US$1.7-trillion. South Africa – like other Africa nations – still faced “significant investment gaps” and would need “very large” infrastructure investments moving towards 2040. For example, currently South Africa’s infrastructure bill topped US$289-billion, with US$441-billion still needed to meet the expectations of its increasing population. Answering questions in the National Assembly on Thursday, 2 November 2017, South African President Jacob Zuma confirmed his government’s commitments to the infrastructure spend. “Investment in infrastructure plays a critical role in economic growth. The increased investment in infrastructure in our country in recent years has served as an economic boost during the period when the economy was faced with enormous pressures. In our country, as a result of the additional infrastructure investment, the economy has maintained growth, though it was at modest levels, until this year. The direct impact of new infrastructure spend has been considerable. It has been estimated that the multiplier effect has been R 268-billion in the economy and this is associated with more than 700 000 jobs that are sustained in the economy. Parliament passed the Infrastructure Development Act to establish the Presidential Infrastructure Coordinating Commission (PICC) which brings together national, provincial and local government to coordinate infrastructure development. The establishment of the PICC has yielded positive results and enables us to keep track of infrastructure spending and eliminate bottlenecks in the implementation of the projects. Our unwavering commitment to infrastructure development was strongly demonstrated during the recent Medium Term Budget Policy Statement, when the Minister of Finance announced that R948-billion will be spent on infrastructure over the next three years. This will certainly result in further job creation and stimulation of economic growth,” President Zuma said. Where are the salient challenges? Speaker after speaker at the Cape Town two-day roundtable concurred on the multiple impediments to strong infrastructure investment, especially in Africa, being a lack of good governance and not so much anything related to a lack of financing. “Strong governance structures are critical to governments’ ability to deliver the infrastructure their communities need. When governments are better able to identify, develop, and coordinate their infrastructure pipeline, project financing—both domestic and foreign—will flow. It is indisputably within the power of governments, the business community, and civil society to make this happen. There are many success stories in developing countries to prove it. In Sub-Saharan Africa only 35% of the population has access to electricity. Access to modern transport has declined in the region over the past 20 years, and 23% of the population still lacks access to safe water. The magnitude of these figures masks a more fundamental need. This entry was posted on 03 Nov 2017,08:26PM at 8:26 PM and is filed under Opinion. You can follow any responses to this entry through the RSS 2.0 feed. Both comments and pings are currently closed.